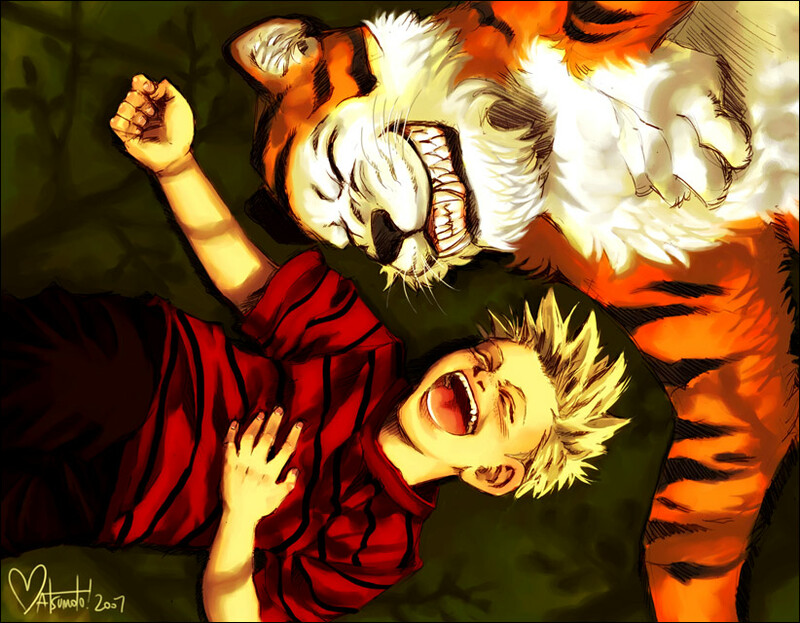 "Best Friends". . HD Wallpaper and background images in the Calvin & Hobbes club tagged: calvin hobbes fan art spacecoyote best friends realistic. I'm a little bit used to the cartoon.. this is a bit scary! Yeah Hobbs is freaking me out a little with those teeth. Great art though.